Golf Fest returns to Longbow Golf Club Feb. 12-13 where attendees will receive a free round of golf, a chance to test out all of the latest clubs and enjoy free clinics from the pros! PHOENIX (Jan. 13, 2016) —Whispering in the air of Mesa is the buzz of one of the top outdoor shows in the country. And no, this isn’t your local country concert. Located on green fairways, the stage is being set to tee off another year of excitement. 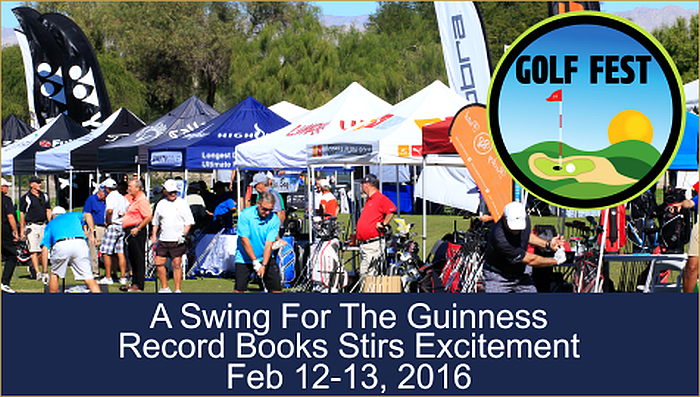 Everything new in golf will be on display at the Longbow Golf Club in Mesa on Feb. 12 and 13. Golf Fest, in its 7th year in Phoenix, will exhibit a variety of activities including free golf clinics by PGA pros, a trick shot exhibition and a long drive clinic. GREEN VALLEY, AZ — The Scottsdale Golf Group announced today the hiring of Honorary SWSPGA Southern Chapter President Dan Wickman, PGA as the Director of Operations for both the Canoa Ranch and Torres Blancas Golf Club. In his position Wickman will oversee the golf operations of both facilities, including the John Jacob Golf School. With Wickman’s experience, and proven track record of managing golf clubs, he will be a valuable asset for the two facilities. 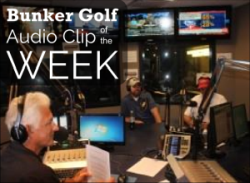 Most recently, Wickman was the Managing Professional; Randolph Golf Complex managing the 36-hole golf operation and four years previous as the Director of Player Development; responsible for designing and implementing player development programs for the City of Tucson Golf. 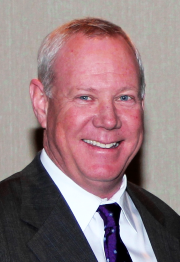 His extensive experience includes being General Manager at Clubs such as, San Pedro Golf Club, Benson, AZ, Prescott Lakes Golf Club, Prescott, AZ, and Robinson Ranch, Santa Clarita, CA. Wickman served as the President of the Southwest Section PGA Southern Chapter for two terms and has been awarded Southern Chapter PGA: Golf Professional of the Year, 2014, Teacher of the Year 2012, Junior Golf Leader 2011, inducted into the Sports Hall of Fame, Salpointe Catholic High School. ATLANTA, Feb. 2, 2016 /PRNewswire/ -- PGA TOUR Superstore is ushering in a new experience for golfers in Tucson with doors opening at 9:00 am February 6 for the grand opening of its first interactive Tucson retail store located at 4215 North Oracle Road in the Tucson Fiesta Shopping Center. Known for its large-format interactive stores across the country, including three Arizona stores in Chandler, North Scottsdale and Scottsdale, PGA TOUR Superstore's new Tucson location will be the largest golf retail store in the area and include a grand opening celebration with $30,000 in product giveaways to the first customers in line and a $15,000 donation to First Tee Tucson to provide area youth with the character-building experience of participating in sports. Thanks for all the contestants in our WMPO promotion! Congratulations to Michelle French of Phoenix who is on her way to a fantastic VIP experience, kicking off with the David Feherty show on Wednesday night at the Orpheum Theatre and then VIP WMPO Members club experience for two plus reserved parking for Thursday opening round through to Sunday’s final round! Congrats to all winners and keep listening and checking back on the site for upcoming events, promotions and contests! Have a fantastic week at the Waste Management Phoenix Open Presented by The Ak-Chin Indian Community “The Greatest Show on Grass”! Antigua was selected to design the official golf apparel for the 2015 U.S. Solheim Cup Team. Team USA won the 2105 Solheim Cup in St. Leon-Rt, Germany. Pictured above is Juli Inkster, captain of Team USA celebrating with her players after winning the singles matches of The Solheim Cup at St Leon-Rot Golf Club on September 20, 2015. Antigua is a leading designer and marketer of golf and sportswear apparel. 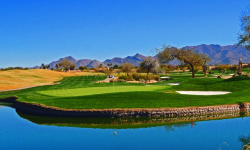 Antigua is based out of Peoria, Arizona and has built a solid reputation with numerous tournaments and tour professionals. The Antigua Team on Tour consists of several PGA, LPGA, Senior PGA and other nationwide touring professionals. It has become the apparel of choice for numerous PGA, Senior PGA and LPGA tournaments. 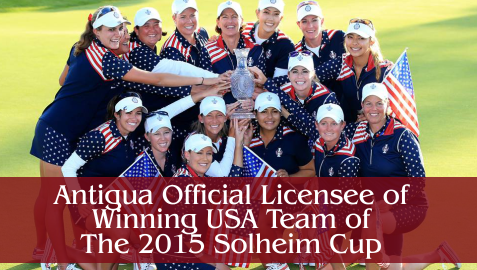 Watch the video below to view the Antigua Solheim Cup apparel for Team USA. The final event of the season, Charles Schwab Cup Championship returns to Desert Mountain, Nov. 4 - 8, with the top-30 Champions Tour players putting it all on the line for a shot at the trophy. For a limited time, buy any Grounds ticket and receive a $20 PGA TOUR Superstore Cash Card, valid online or at any 3 Scottsdale area Superstores. Offer exclusive of applicable tax and fees. Offer ends October 30, 2015. PGA TOUR Superstore Cash Card will be emailed to you in a separate email. Allor has recorded four-consecutive top-25 finishes. CLE ELUM, Wash. – Boise State senior men’s golfer Shane Allor led the Broncos at the Husky Invitational, concluding the tournament tied for 14th, Tuesday. Allor carded a final-round, even-par 71 at the 6,887-yard Tumble Creek Club at the Suncadia Resort, finishing with a three-round total of 220 (72-77-71, +7). Dating back to last season, Allor has recorded four-consecutive top-25 finishes. Boise State finished 12th amongst the 14 schools in the field, carding rounds of 296-304-300 (900, +48). Despite improving by four strokes from the second to the final round, the Broncos fell four places on a bunched leaderboard with a mere 12 strokes separating the sixth- and 13th-place teams. Washington and Oregon tied for the team title at 865 (+13), while the Huskies’ Corey Pereira captured medalist honors at 206 (-7). Freshman Alex Francois finished tied for 34th at 225 (73-75-77, +12), senior Logan France finished tied for 47th (75-78-75—228, +15), sophomore Tristan Rohrbaugh finished tied for 53rd (79-74-77—230, +17) and junior Kyle Mitsunaga finished tied for 60th (76-78-79—233, +20). The Broncos return to action during the fall portion of their season at the Utah OGIO Invitational at the Jeremy Ranch Country Club in Park City, Utah, Oct. 5-6. This video is about the Pancake Stretch used to increase your mobility in your hamstrings and hips. Most individuals have pore mobility in their hamstrings and hips which inhibit the glutes and have a negative effect on the low back. This stretch done correctly is amazing to gain new mobility in the hamstrings and hips. Give it a try and let us know what you think.